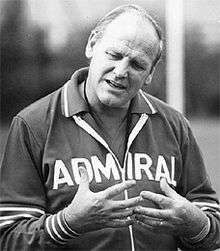 Ronald 'Ron' Greenwood CBE (11 November 1921 – 9 February 2006) was an English football player and manager, best known for being manager of the English national football team from 1977 until 1982, as well as being manager of West Ham United for 13 years, a time during which the club gained much of its fame. That of England manager was his final role in football. In 1949, Greenwood moved to the club he supported as a boy, Brentford, his £9500 fee breaking the club's incoming transfer record. He made 142 league appearances and scored one goal. After three years at Brentford, he returned to Chelsea, where he played 65 times and won a First Division winners' medal in 1954-55 under Ted Drake. That summer, he moved to Fulham, where he made another 42 league appearances before retiring at the end of the 1955-1956 season. He was never capped for his country, though he did make a single 'B' team appearance, whilst at Brentford, in a 1-0 victory against the Netherlands, on 23 March 1952, at the Olympishe Stadion, Amsterdam. After retiring Greenwood moved into coaching. He coached Eastbourne United, Oxford University (where he came to the attention of Sir Harold Thompson, a future Chairman of the F.A. ), the England Youth and Under-23 teams. He combined the England Under-23 post with being the assistant manager at Arsenal under George Swindin, having moved to Highbury in December 1957. He remained there until April 1961, when he was selected by chairman Reg Pratt to replace Ted Fenton as manager of West Ham United. Greenwood's reign at West Ham brought them sizeable success. He oversaw the development of players such as the 1966 FIFA World Cup-winning trio of Bobby Moore, Geoff Hurst and Martin Peters, and under him the Hammers won the FA Cup in 1964 and the European Cup Winners' Cup in 1965 - the first two major trophies of their history. He moved upstairs in 1974, becoming the club's general manager for the next three years, with John Lyall being placed in charge of the first team. In the first season of this arrangement, West Ham won another FA Cup. In July 1977, after England coach Don Revie's resignation, Greenwood was appointed full-time manager in the same year, ending his 15-year association with West Ham United. 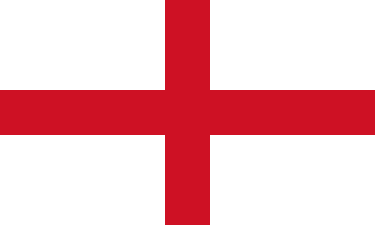 Under Greenwood, England qualified for the UEFA Euro 1980, and then the 1982 FIFA World Cup, their first World Cup in twelve years. England came through the tournament unbeaten, but did not win enough games to progress beyond the second group stage. Greenwood resigned after the World Cup, and retired from football, with the national coach's job going to Bobby Robson in July 1982. One major landmark during Greenwood's tenure was the selection of the first black player for England, Viv Anderson, in 1978. Greenwood stated "Yellow, purple or black - if they're good enough, I'll pick them". After his career in football Greenwood was a regular analyst on BBC Radio. He died on 9 February 2006, aged 84, after a long struggle with Alzheimer's disease. When West Ham played Birmingham in a Premier League fixture on 13 February 2006, a one-minute silence was held in Greenwood's memory. West Ham won the game 3-0. The Town Council of Loughton, where Greenwood lived during his time as West Ham manager, erected a blue plaque to his memory on one of his former houses in the town, 22 Brooklyn Avenue: this was unveiled by Sir Trevor Brooking and the Town Mayor, Chris Pond on 28 October 2008. The Heritage Foundation charity erected a blue plaque in Greenwood's memory at West Ham's Upton Park, which was unveiled by Ron's family on 21 January 2007. Greenwood was inducted into the English Football Hall of Fame in 2006, recognising his achievements as a manager in the English game. He was survived by his widow, Lucy. He is buried in the Town Cemetery at Sudbury in Suffolk. ↑ Brentford Football Club Official Matchday Magazine versus Hull City 07/05/05. 2005. p. 46. ↑ Ron Greenwood | Flickr - Photo Sharing!